​Burnley goalkeeper Tom Heaton claims that he is determined to compete with Everton keeper Jordan Pickford for a place in England's starting XI, despite the latter's 'outstanding' form in the national team. Pickford has endured a testing year at Everton after starring for his country at the World Cup last summer. A string of high-profile mistakes have proved costly for his club this season, including a calamitous error to hand Liverpool a stoppage-time victory in the Merseyside derby in December. 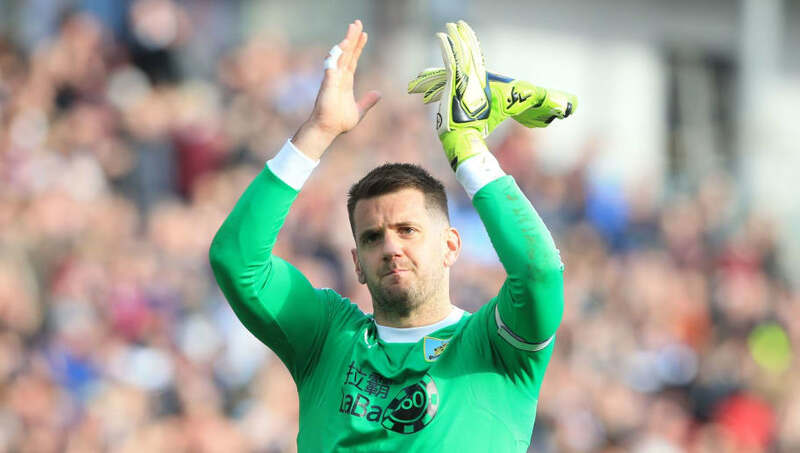 After a serious shoulder injury ended the ​Burnley shot-stopper's own World Cup hopes, he has had to work his way back to fitness and to Sean Dyche's lineup. His exceptional displays since his return have led to a recall to the England squad, with some claiming that he should be Southgate's first choice. Despite such declarations, Heaton has revealed his admiration for Pickford's displays in goal for the Three Lions. Speaking to the ​Independent, he insisted: "I think he's been outstanding wearing the England shirt. I thought he was incredible in the summer in the World Cup. "I think his performances were really top drawer and it's never an easy thing to do, putting the England goalkeeper jersey on, and I think he did it superbly well. "We're here, we compete for the place. Of course, everyone wants to play. Try and get your things right and see what the manager decides." When asked about the prospect of replacing ​Pickford between the sticks for England, Heaton made it clear that he was focusing on his own abilities rather than those of the ​Everton number one. "I don't tend to look at it like that, to be honest," he added, regarding the alleged competition for the starting spot. "I think, for me, it's about myself, what I do, what each individual does. Jordan's performances have been outstanding for England and that's where it's at. "I try not to look at anyone else, as ever the thinking is on myself and we'll see what happens. We've got a few days training. You obviously try and perform, and try to impress the manager, and see what decision he makes."